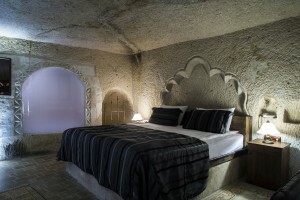 For our holiday packages to Cappadocia, we use the Mystic Cave House Hotel, located in the heart of the Cappadocia region in the town of Göreme. 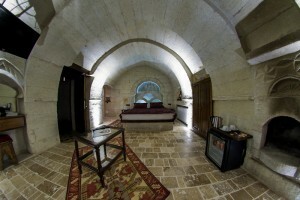 This delightful hotel has been beautifully rennovated and features characterful cave bedrooms throughout the building. 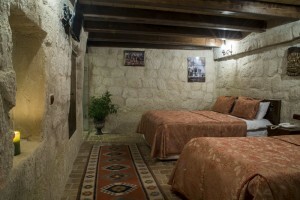 Each room’s decor uses traditional textiles, comfortable bedding and have luxurious bathrooms – as the rooms are caves they are cool in the summer, and warm in the winter. All rooms also have plasma TV, telephone and central heating. 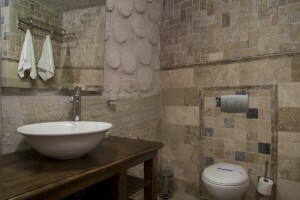 In addition to twin and double rooms, there are also suites which have Jacuzzi bathtubs, in addition to rain water showers in the bathroom. Suites have a mini bar. The accommodation is on a bed & continental breakfast basis, and this is served on the roof terrace, thus offering wonderful views whilst you enjoy breakfast. 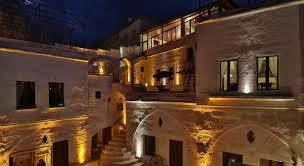 The roof terrace area also has a lounge area, for the use of guests. 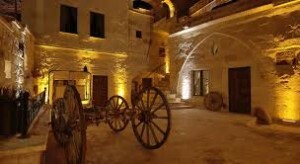 Additionally, there is a lovely courtyard, and terraces throughout the property with seating provided so you can relax and take in the atmosphere of this most unique area.